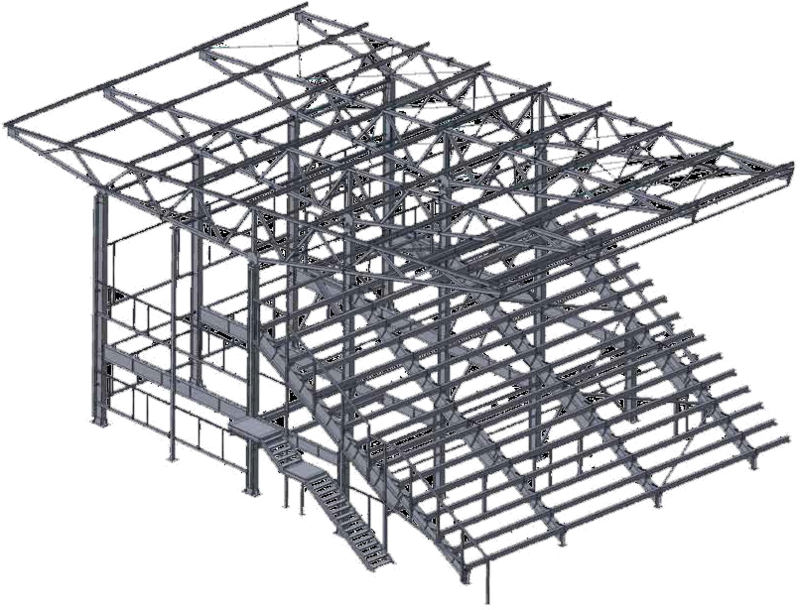 Lengths of profiles can be modified, on the basis of steel structure parts created from the by the Steel Structures 3D add-on. 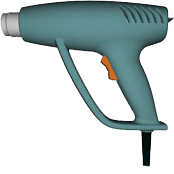 Easy editing allows changing parameters of existing objects, such as trimming and extending. This add-on also generates reports on selected objects. The report can be previewed and objects can be grouped by their properties. The report can be saved as a KOMPAS-3D document, or as a spreadsheet table that can be read by Open Office. and Microsoft Excel. The BOM Wizard generates a comprehensive range of customization bills of material. These tables of parts can be associated with 3D assemblies, as well as and 2D assembly drawings of one or more sheets. Works with KOMPAS-3D. Data can be linked automatically between drawing and model elements and the BOM. The item numbers of assembly parts are transferred from BOMs to drawings. Zone numbers containing images of related parts are transferred from assembly drawings to BOMs. Names, designations, and other data are transferred from parts and assemblies to BOMs. When assembly drawings contain standard part images from application libraries, then the information about the images are transferred to the BOM. A variety of parameters and settings allows you to create custom forms, in addition to forms that meet the Euro-Asian GOST standards. Examples include BOM lists, referenced documents lists, communication charts, and change orders. The BOM Wizard supports the semi-automatic filling of items and sub-items, and standard sorting within item groups. Sorting rules can be modified by you. BOM Wizard tools are excellent for working with different kinds of specifications, catalogs, and lists. You can numbers lines, sort the content, and associate them with documents and other graphical objects. 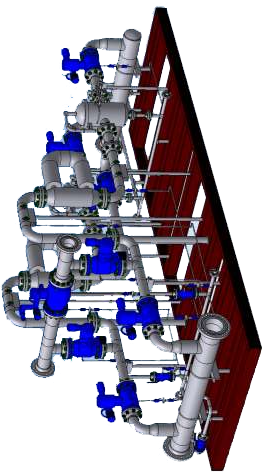 The Pipelines 3D add-on automates piping design. It is also suitable for use with the design of pipes in machinery and utility networks. You can create piping layouts from existing layouts, from existing document paths or by their elements, or as arbitrary layouts. Works with:KOMPAS-3D. This add-on offers the following features: Creates piping layouts, perform a variety of editing operations on them. Manually arranges the pipeline’s elements. Arranges elements and specifies specific types of couplings for each element. Allows different insets for pipes. Cuts selected pipe couplings. Rearranges bearing faces-Edits diameters and wall thicknesses of pipes. Pipelines can be created automatically,semi-automatically, or manually. In automatic mode, layouts are defined by routes, and each route can include several paths. This mode sets tees, outlets,and cutting of selected pipe couplings based on the paths included in the routes. The Animation add-on generates motion simulationof models developed with KOMPAS-3D. Simulates the real-world motions of products andtheir parts. Uses the mates applied during 3D assemblies todefine the displacement and rotation of parts. Automatically detects collisions, revealingdesign errors. Emulates the assembly and disassembly process ofproducts, for use by interactive technical manuals. Creates kinetic-diagrams and saves them assequential frames using KOMPAS-Graphic’s FRW fragments format. Outputs motion videos in AVI format. Plays back entire animations or from the currentframe. The Animation add-on allows you to examine thedesign’s usefulness and operation, but also helps improve the results fromcompetitive project development. Animations consist of showing models move insequential steps. Different parameters and types of part motions are availablefor animation, such as velocity, rotation frequency, and time. These settingsare saved to standard XML-format text files. The Artisan Rendering for generating photo realistic images quickly and easily from 3D models created in KOMPAS-3D. The add-in creates high quality images of 3D parts and assemblies, even while they are being designed in KOMPAS-3D. .To generate the renderings, the add-in uses high-quality OpenGL hardware rendering for setup and review, and then powerful, scalable CPU-basedrendering for high quality, ray traced, and globally illuminated images. The Artisan Rendering add-in comes fully loaded with predefined materials, lights,environments, and backgrounds so that you can get started right away, creating great images. The add-in comes with pre-configured workflows and easy-to-use applications, such as drag-and-drop rendering styles. Mechanisms are described by systems of rigid bodies, joints, and force elements. All necessary dynamic and kinematic variables are available for analysis from this add-on, including coordinates,velocities, acceleration, joint reaction forces, and spring forces. Real-time 3D animation is supported during the simulation process. Works with linear and harmonic time-dependent force elements of various types, which are included in a standard database. Models cam mechanisms and gear trains through contact force elements. Sets uniform, uniformly accelerated and decelerated motions, and harmonic oscillations for selected degrees of freedom in kinematic analyses. Applies parameters of force elements and kinematic expressions. Creates AVI video files of the simulation results. Plots graphs of every dynamic and kinematic variable. Samples of dynamic models that model the kinematics and dynamics of car suspensions, engines, robots, machines, and other mechanisms. The online help includes detailed information on how best to prepare models for analysis, and step-by-step instructions for all stages of model creation and analysis process. Designs and calculates machine elements, mechanisms, and structures, and performs general purpose strength analysis using FEM (finite element method). APM FEM includes assembly preparation tools for performing calculations, setting boundary conditions, and specifying loads. 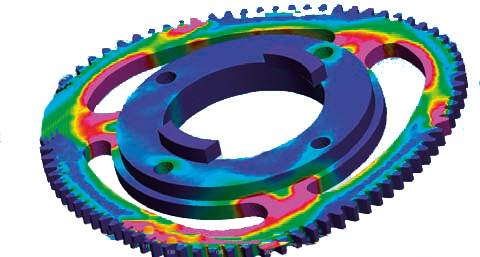 An integrated generator of finite-element meshes creates both fixed and variable-size meshes. It also includes post-processor. These functions allow it to work with solid parts and assemblies designed in KOMPAS-3D, and to analyse the behavior of models when various loads are applied, such as statics, fundamental frequencies, stability, and thermal loading.. The Unwrap add-on automates the design of dust,gas, and air flues, pipelines, and other sheet metal parts. It automates time-consuming calculations and construction processes, and so accelerates the speed at which these drawings are created. A text file of the unwrap's contour design points can be used by CNC machines. Mould and Die Design add-in is a powerful system that increases the production performance of designers, improves the quality of the design, and so enhances the competitiveness of a company's products. Calculates dimension chains for drawings andfragments. Elements of a dimension chain are represented by fixed dimensions orline segments. The add-in performs calculations for horizontal, vertical, andangled dimensions; calculations can include maximum-minimum orprobability-theoretical methods. Discrepanciesare calculated for nominal dimensions in the range of 0 – 10 000mm. Fordimension chains in which at least one nominal size does not fit into therange, only calculations of nominal values are performed. Thefollowing tolerances are calculated: “A” “B” “C” “CD” “D” “E” “EF” “F” “FG” “G”“H” “JS” “K” “M” “N” “P” “R” “S” “T” “U” “V” “X” “Y” “Z” “ZA” “ZB” and “ZC”with an accuracy 0 to 18 decimal places. Both shafts and holes are supported. TheDimensional Chains Calculation add-in calculates dimension chains, and findsthe right value of closing segments using a variety of calculation methods. 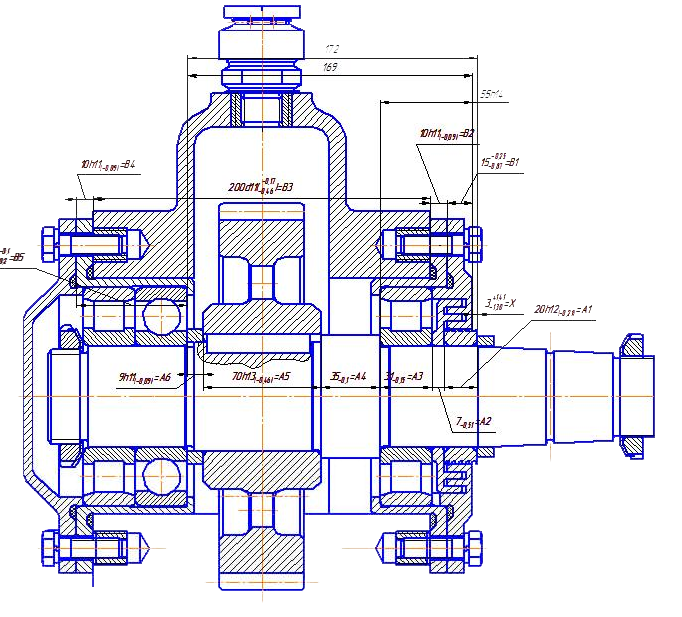 create assembly drawings and specifications. The converter reads data from eCAD (electronicCAD) systems in the standard IDF exchange format into KOMPAS-3D. This add-onworks specifically with P-CAD (v. 2000-2006), OrCAD (v. 9.X), andAltium Designer (previously known as Protel). The macro development environment is Python, ahigh-level object-oriented programming language. To supplement Python, KOMPASincludes standard Windows API functions and KOMPAS-specific macro libraryfunctions. Macro are stored in text files. Material library is database of information about materialsthat are used to manufacture products. Materials Library applies physical andmechanical material properties to 3D models designed in KOMPAS-3D. 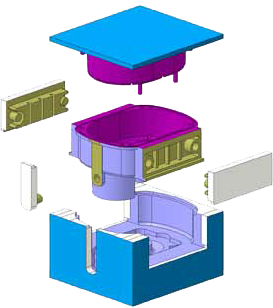 The Standard Parts Catalog contains parametricparts as 3D models and 2D drawings based on DIN -ISO standards. Works with KOMPAS-3D - KOMPAS-Graphic. Searches standard parts with multiple variationsquickly. The Template Manager creates, maintains, and re-uses customized template libraries. Works with KOMPAS-3D. Requires MicrosoftExcel or OpenOffice.org Calc. This create a wide range of templates, and then fill them with objects andproperties as necessary. You can connect variables in the templates with tablesin a spreadsheet. Templates can be pasted into KOMPAS-3D documents as sets ofobjects, such as lines, arcs, and curves, as library macros, or as components,and then edited with the Template Manager tools. When placed as part orassemblies, they can be edited with KOMPAS-3D tools. Templates can befilled out with the user’s details, fragments, and parametric tables, andlinked to each other. One spreadsheet document can correspond to several parts,as well as to fragment files from the template library. The library consistsof more than 100 million 3D CAD models and 2D drawings. The parts are based onEuropean and other suppliers in the tooling, machinery, aerospace, automotive,and others industries. You launch Trace Parts directly from inside KOMPAS-3D Select a part, and then insert it into your assembly as a native 3D or 2D part.